Great seller!!! Love the product!!! A must have on EBay!!! Super fast shipping!! Exactly as described. Fluffy seat for baby. Great eBayer! Exactly as described. Great quality . super fast shipping. Bought this for my great-grandson. Very happy with vendor. Came quickly. 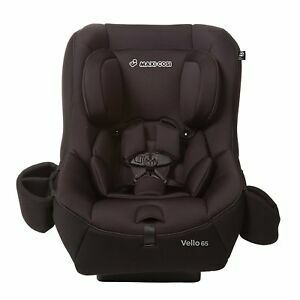 Decided to give Maxi-Cosi a try for the first time based on positive reviews and how the car seat looks so comfortable in pictures. The head rest is mostly hard styrofoam with thin padding and the seat cover might be plush but it compresses very easily creating just a thin layer of cushion. In the end, this car seat is cheaply made and the quality is poor vs what you can get at your local Walmart or Target in the same price range. 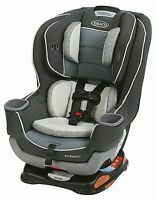 Bought this zmaxi carseat for my 1yr. He lives it. Super comfy and soft. Great clean design. Only thing I don't lie is how bulky it is. I drove a dodge charger and it take alot of room. And he is sitting pretty high up. Probably won't work when he is 3. But I love it. Wish the design was thinner, sleek. My daughter out grew her last car seat. She now loves the fact that she can face forward and see the world when I drive.